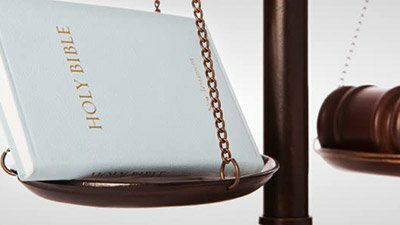 Can we trust the New Testament as a reliable record of what actually happened, and do we possess what was actually written in the first century? In the seventeenth century William Googe, preaching at Blackfriars in London, spent 32 years and 1,000 sermons on the New Testament book of Hebrews. That may appear excessive, but he did this because he and his congregation believed the New Testament to be both reliable and relevant to their day. It still is. Every week, millions of Christians in tens of thousands of congregations listen to sermons based upon the life, death, and Resurrection of Jesus Christ and the work and teaching of His followers. 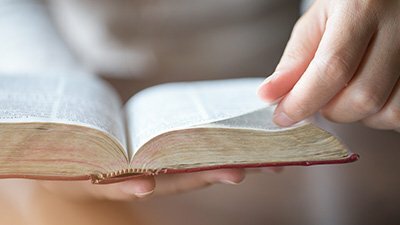 Can we trust the New Testament as a reliable record of what actually happened, and do we possess what was actually written in the first century? Two important verses in the New Testament are 2 Timothy 3:16 and 2 Peter 1:21 . The first tells us where the Scriptures came from—they came from God—and the second informs us how they came to us—through men moved by God. In their immediate context, of course, these verses refer to the Old Testament, but this inspiration is also what these men claimed for themselves and for each other. Let’s quickly examine some of the evidence. Paul wrote to the Corinthian Christians “not in words which man’s wisdom teaches but which the Holy Spirit teaches” ( 1 Corinthians 2:13 ), and similarly, Peter encouraged the young churches to recall “the words which were spoken before by the holy prophets, and of the commandment of us, the apostles of the Lord and Savior” ( 2 Peter 3:2 ). The translators handled well an unusual form of Greek in these passages; the emphasis is not that the apostles merely passed on the commands that Christ had given during His earthly ministry but that they now spoke the words of Christ Himself. In his first letter, Peter was even more direct. He claimed that the Old Testament prophets spoke of the coming of Christ by the power of “the Spirit of Christ who was in them,” and then he turned his attention to the apostles “who have preached the gospel to you by the Holy Spirit sent from heaven” ( 1 Peter 1:11–12 ). What the Holy Spirit was to the prophets, so He was to the apostles; the authority of the prophets is equal to the authority of the apostles. Paul challenged the Thessalonians, “You know what commandments we gave you through the Lord Jesus” ( 1 Thessalonians 4:2 ). Earlier in the same letter, Paul had reminded his readers how they first responded to his message: “ When you received the word of God which you heard from us, you welcomed it not as the word of men, but as it is in truth, the word of God ” ( 2:13 ). Because Paul was convinced that his teaching carried the authority of God, he claimed that his preaching was the standard of the truth and that other preachers could be tested and measured by it ( Galatians 1:6–12 ). Paul’s gospel was not “according to man,” but was received “through the revelation of Jesus Christ” ( Galatians 1:11–12 ; see also Ephesians 3:3 ). For this reason obedience to Paul’s teaching became the measure of a spiritual life: “If anyone thinks himself to be a prophet or spiritual, let him acknowledge that the things which I write to you are the commandments of the Lord” ( 1 Corinthians 14:37 ). The early church leaders accepted the apostles’ letters, and no others, as equal in authority to the Old Testament. Peter gave Paul’s letters the same authority as the Old Testament Scriptures ( 2 Peter 3:16 ), just as Paul gave the words of Christ recorded in the Gospels equal authority with the Old Testament. For example, in 1 Timothy 5:18 Paul introduced both Deuteronomy 25:4 and Luke 10:7 by saying, “the Scripture says.” Therefore, when we use the “all Scripture” in 2 Timothy 3:16 to refer to both Old and New Testaments, we are following the example of the apostles. The words of Matthew 16:18–19 (and Matthew 18:18 ) have often been the cause of debate and argument, but the passage is straightforward. The promise, “I will give you the keys of the kingdom of heaven, and whatever you bind on earth will be bound in heaven, and whatever you loose on earth will be loosed in heaven,” must be understood in the Jewish context. When scribes were admitted to their office, they received a symbolic key of knowledge (see Luke 11:52 ). The duty of the scribes was to interpret and apply the law of God to particular cases. When the scribes bound a man, they placed him under the obligation of the Law, and when they loosed him they released him from the obligation. In order that the disciples might recall accurately all that Christ had said and done, instruct the Christian church in the way of truth, and write of things still in the future, Christ promised the help of the Holy Spirit. The apostles would be writing with no less authority than the Old Testament prophets. This is confirmed in Revelation 22:6 : “The angel said to me, ‘These words are trustworthy and true. The Lord, the God of the spirits of the prophets, sent his angel to show his servants the things that must soon take place’” (NIV). Nowhere did Christ more plainly express His belief in the authority of Scripture than in Matthew 5:18 : “For assuredly, I say to you, till heaven and earth pass away, one jot or one tittle will by no means pass from the law till all is fulfilled.” Later in His ministry, Jesus applied the same authority to His own words: “Heaven and earth will pass away, but my words will by no means pass away” ( Matthew 24:35 ). We are not suggesting that all the Gospels were written “on the hoof” as the disciples accompanied Jesus, but it would be natural to expect some listeners to write down His teaching and parables. This would be fully in keeping with what we know of the literacy and note-taking of first century Palestine. There is no reason the Gospel writers would not have had access to written records. And Get It Down Now! We may confidently claim that the Gospels and letters of the New Testament were written down by the traditionally accepted authors who lived in the first century. 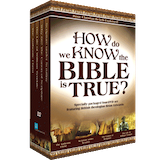 The Gospel records bear all the hallmarks of authentic eyewitness accounts. Here are three examples. 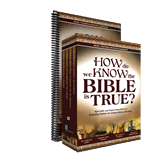 The Gospel records bear all the hallmarks of authentic eyewitness accounts. Philip told Nathanael about Jesus by stating, “We have found Him of whom Moses in the law, and also the prophets, wrote—Jesus of Nazareth, the son of Joseph” ( John 1:45 ). No one writing in the second or third century would have invented that. Nazareth is not even mentioned in the Old Testament, and the Jews never associated it with the coming Messiah. The most natural introduction would have been “Jesus of Bethlehem”— since that town had strong Messianic connections ( Micah 5:2 ). Besides, why say, “the son of Joseph,” when well before the second century, only the heretics doubted that Jesus was really the Son of God? The only explanation for these “second century gaffes” is that the New Testament accurately records what Philip actually said. If later writers wanted their readers to believe that Jesus is the Son of God and Lord of life, then His journey to Golgotha appeared to be a disaster. He stumbled and fell and was too weak to carry the crossbeam; and why make up that seemingly despairing cry from the Cross: “My God, My God, why have You forsaken Me?” ( Matthew 27:46 ). So many details of Christ’s final week—the entry into Jerusalem, the beating and Crucifixion, and the claim of a resurrection—opened Christians up to ridicule. The Jews were offended, the Greeks mocked, and the Romans drew graffiti of a donkey-headed man on a cross. Why make it all up? A witness has a right to be believed unless he is proved to be false. And if the quality of his life matches the high morality of his teaching, then we must have strong reasons before we malign the integrity of his account. As with the Old Testament, archaeology continually confirms the accuracy of the New Testament historical record. Much more about the stones could be added, but let a scholar have the last word. Sir William Ramsay was a bucket-and-spade archaeologist who spent his life digging around in modern day Turkey, the land of Paul’s travels. He was a bright man with three honorary fellowships from Oxford and nine honorary doctorates from British, Continental, and American universities. He was at one time professor at Oxford and Aberdeen universities, was awarded the Victorian medal of the Royal Geographic Society in 1906, and was a founding member of the British Academy. He was knighted in 1906 for his service to archaeology. 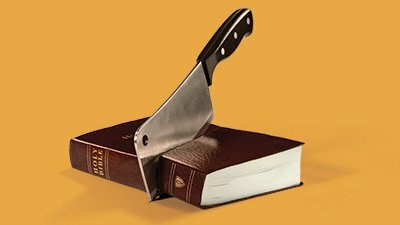 Previous Article Is the Old Testament Reliable? 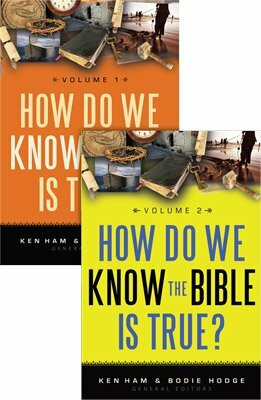 Next Article How Do We Know that the Bible Is True? Brian H. Edwards, Why 27? (Darlington, England: Evangelical Press, 2007), pp. 89–106. W G Kümmel, trans. Introduction to the New Testament (London: SCM Press, 1975), p. 55. Alan Millard, Reading and Writing in the Time of Jesus (Sheffield: Sheffield Academic Press, 2000), p. 63. Millard, Reading and Writing in the Time of Jesus, p. 142. S. Lieberman in Millard, Reading and Writing in the Time of Jesus, p. 211. Ignatius, Epistle to the Philadelphians 5, and Epistle to the Smyrnaeans 7:4. Edwards, Why 27? pp. 89–90. J. A. T. Robinson, Redating the New Testament (London: SCM Press, 1972). Conservative Christians agree that all of the New Testament was completed by the close of the first century AD. Robinson, Redating the New Testament. p. 341. C. S. Lewis, “What Are We to Make of Jesus Christ?” Essay. 1950. Papyrus 904 in the British Library, London. Yosef Porath, “Vegas on the Med: A Tour of Caesarea’s Entertainment District,” Biblical Archaeological Review. September/October 2004, p. 27. British Museum accession no. CM 1908.01–10–530. British Museum accession no. GR1877.5–11.1. William Ramsay, The Bearing of Recent Discovery on the Trustworthiness of the New Testament (London: Hodder and Stoughton, 1915), p. 89.